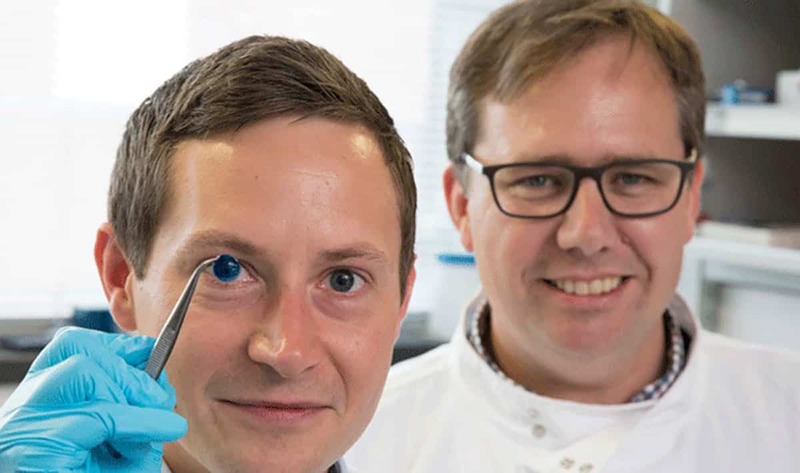 With the help of a 3D Bio-printer, Professor Che Connon (Tissue Engineering) with his team of Scientists at Newcastle University were finally able to devise a technique in which they were able to blend healthy cells of corneal stem with “collagen” and “alginate”, the types of sugar used in tissue regeneration, with the help of these sugars they together created “bio-ink”, a printable mixture which helps in enabling them to duplicate the shape of a human cornea in just a few minutes. Though this technique yet needs a medical approval to be used for treating patients, once it gets medical approval it will not only benefit millions of people suffering from vision impairment due to damaged cornea but also this will make corneal transplants cheaper and accessible to everyone in need which is not the scenario at present. The cornea is the outermost lens of the human eye, it protects the eye from harmful matters and rays and mainly helps in focusing, corneal injury can lead to severe pain and even vision impairment partially or completely. Some infectious diseases can also affect cornea causing blindness. In 2016 after a scientific research and survey held globally it was found out that only one out of every 70 cornea transplant was available, since then research was made more and more to duplicate corneal regeneration with the help of bioengineering and now these speculations have come true with the help of bio-ink and 3D printing. He also mentioned that it is just start of a revolutionary research, and it is still several years away from patients getting treated using these 3D printed corneas, or for them to be available in an official capacity, he also mentioned this study was essentially just proof of concepts that this technology could be devised and yet only a small portion of it is what they have been able to achieve. This makes us believe that future of 3D printing and medicine is coming more and more in focus and we will see more such advancements in coming years, which would not only benefit mankind but will also increase life expectancy.